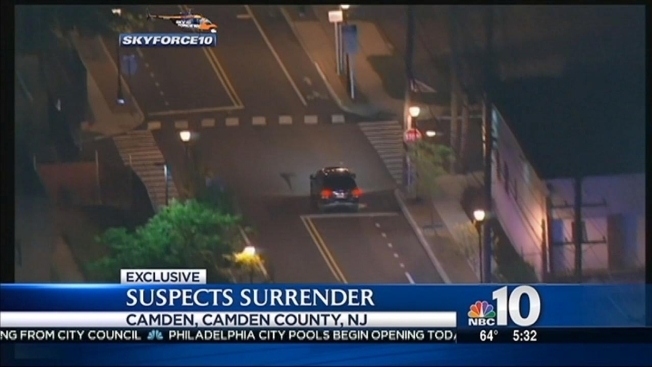 Two men are in custody following a shooting and high-speed chase through two South Jersey counties Thursday night. Westville Police tell NBC10.com the incident began with a shooting inside a unit at the Westwood Manor Apartments along the 700 block of Broadway Street in the small Gloucester County town. One man was hit in the stomach and later rushed to Copper University Hospital. He's in critical condition, officials say. When police arrived to the apartment complex, they spotted the two men getting into an SUV and speeding off. The men drove out of Westville and into neighboring Camden -- zig-zagging through the city streets. 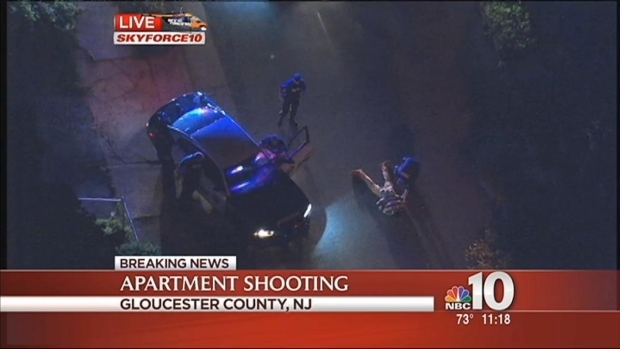 Two men led police on a chase through South Jersey following a shooting in a Gloucester County apartment building. SkyForce10 was overhead as the pursuit headed towards the busy Admiral Wilson Boulevard. There, near 10th Street, the men stopped the SUV and surrendered to officers. Both men were taken into custody without issue. The Gloucester County Prosecutor's Office is handling the investigation. A motive for the shooting is unknown.